Marketing in China, How to do it ? Buyers from China are pouring billions into residential property—and developers are courting them with everything from feng shui to lucky numbers. A new wave of buyers from China is snapping up luxury properties across the U.S., injecting billions of dollars into the country’s residential real-estate market. Lauren Schuker has details on Lunch Break. Photo: Erhard Pfieffer. A new wave of buyers from China is snapping up luxury properties across the U.S., injecting billions of dollars into the country’s residential-real-estate market. The industry is scrambling to court the new buyers. Some developers of new projects are installing wok kitchens, following feng shui principles and putting lucky numbers on choice units; others are packaging property sales with government programs designed to encourage foreign investment. Real-estate agencies are flying representatives to China, and hiring Mandarin-speaking agents. In Los Angeles, New York and even Miami, buyers mostly from China—and some are from Hong Kong, Singapore and Korea—are radically altering the landscape. 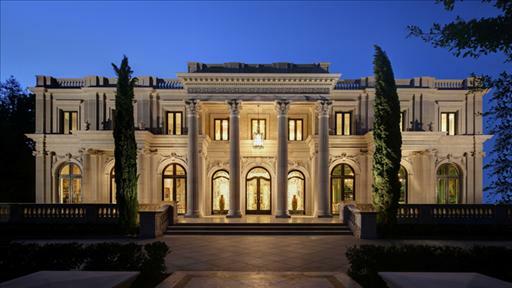 Last month, a Chinese couple paid $34.5 million for a Versailles-style mansion on Sunset Boulevard in Beverly Hills, Calif. A year earlier, a Hong Kong businessman paid around $28 million for a nearby estate. Over the last six months in New York, several full-floor apartments in a new Manhattan high-rise called One57, each with a price tag of roughly $50 million, have gone into contract with Chinese buyers, according to two people close to the situation. Courtesy of Fortune International Late last year, Fang Yi Liu, a businessman from Shanghai, snapped up 17 apartments for a total of $14 million in the Artech, a modern glass building resembling a cruise ship that overlooks the Intracoastal Waterway near Miami. In a nod to Asian buyers, the building put many of its most luxurious full-floor apartments on the 80th through 88th floors—a clever way to appeal to the Chinese belief that eight is the luckiest number. Apartment 88 is under contract to a Chinese buyer for around $50 million. 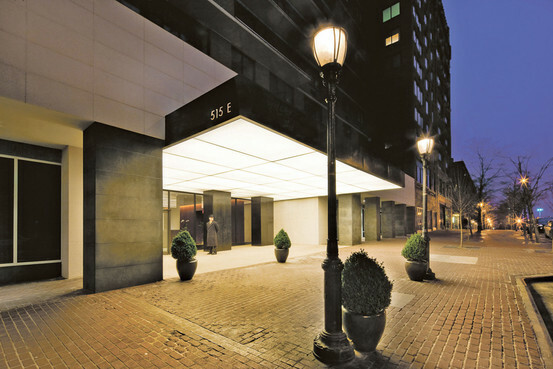 Fifteen buyers from Asia have bought roughly $1 million apartments at New York’s 515 E. 72nd St. in the last six months. In downtown Los Angeles, half of recent buyers for the new Ritz-Carlton Residences, which AEG developed, hail from Asia. 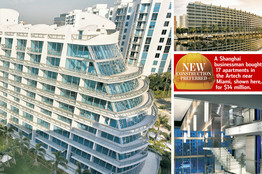 Some buy in bulk: Late last year, Fang Yi Liu, a businessman from Shanghai, snapped up 17 apartments for a total of $14 million in the Artech, a modern glass building resembling a cruise ship that overlooks the Intracoastal Waterway near Miami. Buyers from China and Hong Kong accounted for $9 billion of U.S. home sales in the 12 months ending in March, up 89% from 2010, making them the second-largest group of foreign buyers of homes in the U.S. behind Canadians, according to data released earlier this month by the National Association of Realtors. And many real-estate agents say the those figures are too low, as they track only sales on the multiple-listing service and don’t reflect private sales. In addition, the data are based entirely on how real-estate agents classify buyers. I. Dolly Lenz, a luxury-real-estate broker in New York, estimates that half of her clients now hail from China, more than twice the amount two years ago. Pamela Liebman, chief executive of the Corcoran Group, says that the shopping for luxury properties by China-based buyers has accelerated dramatically since the start of 2012 to record-breaking levels. Foreign-investor interest in the American real-estate market began during the housing crisis, when plummeting property prices turned the U.S. into an attractive target for buyers around the world. The yuan has continued to rise—more than 7% against the dollar since June 2010—as has the number of China’s wealthiest individuals. Meanwhile, in an effort to deflate China’s housing bubble, the government has placed restrictions on multiple real-estate purchases and recently began to require more equity for mortgage loans. In the last six months, 10 to 15 pricey units in One57, a glitzy new high-rise being built in midtown Manhattan, went into contract with wealthy Chinese buyers. When completed, the building—which features a Park Hyatt below the condo units—will be New York’s tallest residential building. HNA Group, one of China’s largest conglomerates that recently bought several commercial properties in New York, signed contracts for two full-floor apartments and two half-floor units in One57, according to a person close to the situation. On West 57th Street across from Carnegie Hall, overlooking Central Park, the building is slated to open in 2013. Real-estate agents typically divide buyers into four distinct groups: the super-wealthy buying properties upward of $15 million for personal use; those buying homes for a few million dollars, also for personal use; those purchasing investment properties, usually in the $1 million to $2 million range, to lease out; and those buying in bulk, as a commercial strategy. Steven Loh, a businessman from Singapore who runs a real-estate advisory group called Silkrouteasia Capital Partners, is a bulk buyer. He recently purchased six apartments in Los Angeles’s Ritz-Carlton Residences for about $1 million each and is also facilitating a $60 million transaction with several overseas investors to buy more than 50 condos in another Los Angeles development. Some U.S. real-estate agents say that the current property craze reminds them of the real-estate shopping spree by the Japanese in the 1980s, a phenomenon that died with the collapse of Japan’s economy. Unlike those days, buyers now tend to be a little more cautious, trying to avoid paying above market value and obsessively calculating rates of return. In addition, while borrowing drove many of the Japanese investments in prior decades, Chinese buyers tend to pay in cash. Like many investors from Asian countries, buyers from China mostly want new construction. At Lambert Ranch, a gated development so new in Irvine, Calif., that the leaves on the palm trees haven’t yet unfurled, buyers are lining up to buy homes asking between $900,000 to $1.5 million, says Mei Zhou, a Mandarin-speaking real-estate agent in Irvine who uses Skype to communicate with her clients in Asia. About 50% of Lambert’s buyers so far are foreigners from Asia, say people close to the community. The development’s first 42 available homes sold out in five weeks. Over the past year, Mr. Lawson says he sold about eight homes in a large golf community in Fort Myers to Chinese buyers. The houses, which span about 2,500 square feet and come fully decorated, cost less than $250,000—a bargain to Beijing and Shanghai residents used to adding another zero to buy a home of that size. Real-estate agencies and banks are mobilizing to capitalize on the boom. Mr. O’Neill says demand for his company’s semiannual investment seminar, which teaches prequalified buyers in China about how real-estate buying works in the U.S. and is held in ballrooms and private clubs, has doubled over the last six months. Banks in China are ramping up their services in the arena, too, flying in U.S. real-estate agents to sit on panels about how to buy property in the U.S. and showcase trophy properties in New York and Los Angeles in PowerPoint presentations. 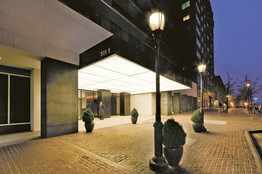 Evan Joseph n the last six months this building in New York, 515 E. 72nd St. has attracted 15 buyers from Asia. Some developers and real-estate agents are trying to capitalize on government programs that encourage foreigners to invest in the U.S. For example, the EB-5 program makes foreign investors eligible for permanent U.S. residency in exchange for investing at least $500,000 in ventures that create at least 10 jobs in the U.S. Jerry Kaufman, a developer at J. Milton & Associates in Miami, pitches a package to the Chinese where they can invest in an EB-5 approved investment vehicle called the Atlantic American Opportunities Fund in Florida—and then spend more to buy a condo in J. Milton’s nearby development, the St. Tropez, in Sunny Isles Beach near Miami. So far, he says, he has signed up 20 Chinese families to invest in the fund and buy units in the condo building, which sell for an average of $700,000. Mr. Kaufman is currently in negotiations to buy a 100-acre plot of land north of Miami in an effort to create Miami’s first Chinatown, a free-trade zone with casinos, restaurants, art galleries, shopping and hotels. “We’d call it New China,” he says. Others are taking quicker routes: In the past few months, Corcoran’s Ms. Liebman has started regularly sending four of her agents to China, forged partnerships with three real-estate companies there and hired several Mandarin-speaking agents in the U.S.
With options like wok kitchens—a separate space with strong ventilation needed for aromatic cooking—or a guest unit for a grandparent, California’s Lambert Ranch was designed from the start with the Asia-based buyer in mind. Robert Hidey, Lambert Ranch’s architect, who has designed extensively in China, built the community’s main roads on a north-south axis and ensured the homes had south-facing windows—both pillars of good feng shui. In addition to creating multigenerational housing options and wok kitchens, the New Home Co., which developed Lambert Ranch, also buried gold coins on the property in accordance with feng shui principles. To avoid having any addresses starting with the number four, unlucky in China, the development starts its addresses at 50. 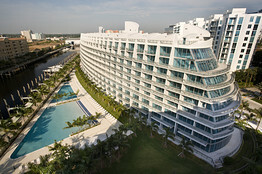 In Los Angeles, brokers for the Ritz-Carlton Residences have been inviting buyers in China to stay for two nights free at the hotel as part of the Ritz’s broader strategy to appeal to Asian buyers, called the “Pacific Rim Plan.” The visit concludes with a Champagne toast in one of the Ritz residences, although guests must pay their own airfare. “All we do now is visit China, Hong Kong and Singapore,” says Jim Jacobson, who runs international sales for the Ritz-Carlton Residences. “We’ve realized that’s where our market lies.” The Ritz-Carlton Residences range from one-bedroom condos costing around $850,000 to larger ones priced at $2.5 million to penthouses, which top out at $9.3 million. Others are simply turning to Chinese media to market themselves—and their wares. 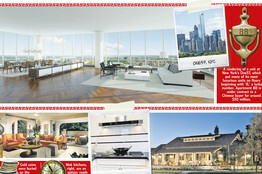 Jing Chen, a broker for Corcoran in New York, writes a column in Mandarin for a popular Chinese website, Sinovision.net. Last year, she wrote a column about Harlem brownstones gaining in value; eight months later, she sold three of them to Chinese buyers, each for somewhere between $1 million and $2 million apiece. China: No Need for Open Internet? WeChat 6.1.0.57 APK Download – The Best Messaging App There Is? Glogou is the No.1 advertising agency that helps global business to get customers from China by providing effective online, mobile and offline marketing advertising solutions for China market.